Only hours after Jair Bolsonaro was elected president of Brazil last Monday, Prime Minister Benjamin Netanyahu decided to phone the extreme-right candidate. Netanyahu accepted Bolsonaro’s invitation to Brazil, inviting the president-elect to Jerusalem,, after the latter declared his intention to move the Brazilian embassy to Jerusalem. And yet the Foreign Ministry, the hasbara industry, the Jewish Agency, Birthright — they are all busy figuring out how to market this package. Netanyahu, of course, heads this industry, and each appearance on the world stage proves what his rivals have always claimed about him. Yet the occupation has long ago become Israel’s official policy. This much is clear to all those who oppose this new wave of elected official, and it is good news for Palestinians and activists who for decades have tried to convince Western leaders that the occupation and the settlements are littler more than theft and dispossession. That there is no connection between the occupation and the Holocaust or Israel’s security. Now it is clear that Israel is acting only to entrench military rule in the occupied territories, that this is the only obstacle to peace and to the end of the conflict. Today dissidents of all stripes are learning this truth, ironically thanks to Israeli funding. Opponents of the occupation must now pick up the leftovers. There is no doubt that they must also contend with the new regimes, as awful as they may be, just as they must contend with Israel, the IDF, the Civil Administration, the courts, and the police. But the new leaders have also provided us with a huge liberal camp with which we must form alliances. We must teach it about what is happening on the other side of the Green Line, and then we must fight together. Eli Bitan is a blogger for Local Call, where this article was first published in Hebrew. Read it here. The post The rise of the global far-right could energize the anti-occupation movement appeared first on +972 Magazine. At least 78 Presbyterian secondary school pupils have been kidnapped in an anglophone area of Cameroon. 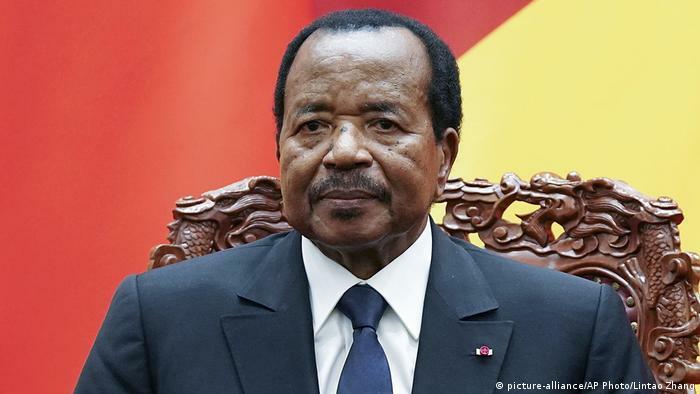 Speculation centers on separatists at odds with President Paul Biya’s French-speaking government. Dan Norrgård from Timrå fought for the first bridge across the Rhine in 1945. New research has revealed that the number of Swedes who fought for the Allied forces in World War 2 was far higher than previously thought. Author Lars Gyllenhaal tells Radio Sweden that he has used American archives to find details on hundreds of unknown soldiers and sailors, whose numbers dwarf the around 200 Swedes who fought in German uniforms. “Allied Swedes have, so to say, been in the shadows because during recent years there’s been a lot of attention about the Swedes on the other side,” Lars Gyllenhaal tells Radio Sweden. Sweden had a policy of remaining neutral during World War 2 though that did not stop thousands from volunteering or fighting during the conflict. Join 100,000 discerning readers and get everything we publish by signing up for ProPublica’s daily email. Facebook on wrong side of democracy again! And there’s no sign of America Progress Now at the address listed on its Facebook page. When we visited 605 E. 132nd St. in the Bronx on Monday morning, none of the tenants we spoke to had ever heard of America Progress Now. The building’s landlord, Stephen Rosenfeld, said in a phone call that he hadn’t heard of the group either and that no tenants by that name were in his building. After reaching out to America Progress Now, the page removed its Bronx address. In an email to a Sanders staff member that was shared with VICE News and ProPublica, Facebook said it had investigated America Progress Now and found no violations of its policies. Facebook said it had verified that American Process Now is authorized to run ads with “America Progress Now” in its “Paid For by” disclosure. The ads, some placed on the eve of the midterms, appear intended to take away Democratic votes in key races. In a statement to VICE News and ProPublica, Facebook said it reviewed the ads, requested additional information from the advertiser and determined they do not violate its community standards or advertising policies. Facebook said the company received either an Employer Identification Number or an FEC committee ID from America Progress Now. It’s also possible that an individual bought the ads and that America Progress Now is not a political group, but an individual would still have to register with the FEC. On the morning of Nov. 5, several of the ads said that they had been “taken down because it goes against Facebook’s advertising policies.” Later in the morning, the ads had all been restored. America Progress Now did not respond to multiple requests for comment, but Facebook’s Messenger app indicated the page “read” the requests. The page has spent at least $1,000 so far on the ads, which were still running Monday and have been viewed at least 108,000 times, according to Facebook’s ad archive. It’s a drop in the bucket in Facebook terms: Since May, advertisers have spent more than $353 million on political ads on Facebook. 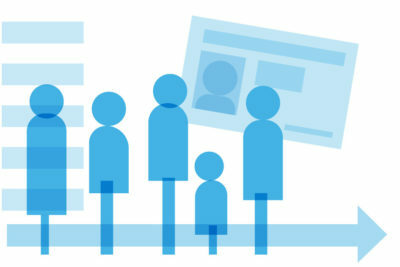 Yet the ads show how political groups and individuals are still using Facebook’s ad system to target voters anonymously. There is no record of a group registered with the Federal Election Commission by the name America Progress Now; groups making online independent expenditures that urge readers to “vote for” a candidate incur legal requirements to register with the FEC. Nor does a group with the name America Progress Now exist in the corporate filings databases of LexisNexis, Washington, D.C., Delaware or other databases. In May, Facebook instituted new political ad rules in response to Russian meddling: first, it verifies that the person placing ads has a Social Security number and a U.S. residential mailing address, then it requires the advertiser to add a “Paid for by” disclaimer that “accurately represent[s] the name of the entity or person responsible” for the ad. However, Facebook last week acknowledged to ProPublica that it can’t “scalably” verify that the “Paid for by” disclaimers are accurate, all after VICE News was approved to run ads that said, falsely, that they had been “Paid for by Mike Pence” and all 100 U.S. senators. At least one of America Progress Now’s ads was targeted to people whom Facebook categorizes as “very liberal,” according to one ad submitted by a participant in ProPublica’s Political Ad Collector project. Several of the races targeted by the page — the Missouri Senate race, Ohio’s 12th Congressional District and Iowa’s 3rd Congressional District — are highly competitive and are rated as “toss-ups” by the Cook Political Report. Two others are “leans” and two, the Michigan Senate race and Pennsylvania governor’s race, are considered “likely” Democratic victories by the Cook Political Report. The logic of these choices is unclear: While there is a Green Party candidate in New Jersey’s “toss-up”-rated Senate race, America Progress Now hasn’t run ads about the candidate there. On Saturday – exactly a week after the horrific attack in Pittsburgh – I had the privilege of attending a Shabbat service at a synagogue in London to show solidarity with the Jewish community, both here and around the world. We prayed for all those affected – the families, the friends and the wider Jewish community. This evening, I’m also proud to be speaking at the annual dinner of the Board of Deputies of British Jews – a great organisation that does an incredible job standing up for the Jewish community in our country. Understandably, many Jewish Londoners – and Jewish communities around the world – are not only mourning the victims of the dreadful attack in Pittsburgh, but worried about what this means for their own safety. A synagogue should always be a sanctuary, a place where you feel safe to worship and practise your faith in peace. Reasons for sharing antibiotics included recipients experiening similar symptoms, saving money, and avoiding another doctor’s visit.